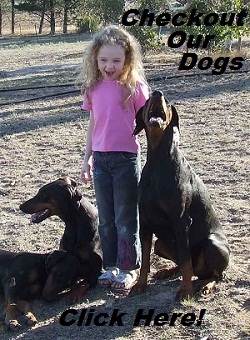 Based in Canberra, Redshift Dobermanns is a small kennel registered with the ANKC. Our aim is to maintain a high-level of quality in the Dobermann type, health and temperament and raise dogs that reflect the fantastic personality that dobes are known for. With dogs that compete in conformation showing as well as agility, obedience and endurance, we put into practice the working aptitude and temperament that dobermanns are known to have. We raise all of our dogs and puppies in as diverse an environment as possible, taking every opportunity to socialise them and subject them to a varied range of animals and people.